Mobility explores the gracious side of it with the Mercedes-Benz CLS-Class. The German automaker Mercedes launched the car in the year 2004. 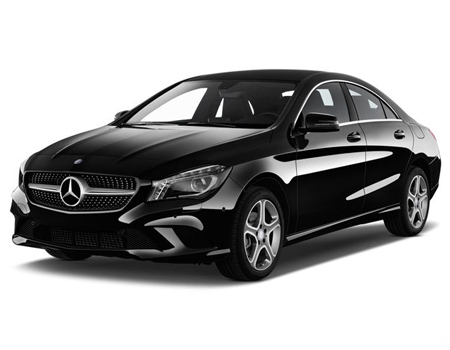 The car is a compact four-door mid-size luxury fastback sedan or referred to as a coupe that is based on the Mercedes-Benz W211 E-Class. The second generation of the car marks its production debut in the year 2011. Functionality comes with an impressive face in the exterior design of the coupe. The imposing diamond radiator grille and the LED integrated Bi-Xenon headlamps incorporate an extravagance to the front appearance of the coupe. The standard 18-inch and 17-inch light-alloy wheel design acts as the shoes wearing which the coupe explores the world. The exterior dimensions of the coupe reading – 4940mm x 1881mm x 1416mm (L x W x H) and a long wheelbase of 2874mm forms the basis of its young identity. What to opt for: The car owing to its dynamic capabilities should be considered for an overall exterior parts cover along with the expensive added accessories. The blend of high quality materials, convenient technology and pleasurable luxury marks the interiors of the coupe. The driver of the car is of the car is given a pleasurable amount of authority owing to the 17.8 cm multi-functional TFT display integrated. The car features well-cushioned leather seats and the Thermatic automatic air conditioning system. The Audio 20 CD system adds to the feast of entertainment. The boot space offered by the car is 423 litres. What to opt for: Along with a sound interior technology the car is fitted with dependable safety features (ABS, ESC, ASR, Immobilizer, etc.) hence the driver and front passenger insurance cover serves well. With this, the car can be missed on the theft insurance. The car is crafted to feature pure luxury and brisk-responsive handling characteristics for which the car is often compared to the Jaguar XF. The car comes at a very expensive price and the maintenance and the parts cost remains high and so considering all this, the car should be covered under a total damage insurance cover.